Request a San Diego Bachelorette Party Here. 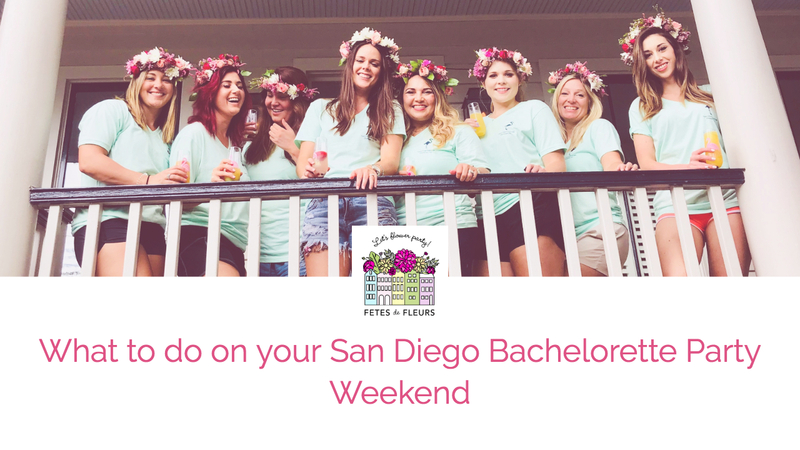 Please fill out the form here if you are interested in hosting a San Diego bachelorette party with Fetes de Fleurs. We will come to your hotel or airbnb or house to setup our signature flower bar and then teach your group how to make flower crowns. We hope to flower party with you soon San Diego! Hi ladies! We are so glad you found us. We are Fetes de Fleurs, a flower party business that was started out of Charleston, SC a year ago. We have started to expand to other cities around the US where bachelorette parties tend to happen and ladies weekends. So naturally we wanted to be in SAN DIEGO! San Diego is a hot spot for vacations for ladies trips, bachelorette parties in San Diego, etc. 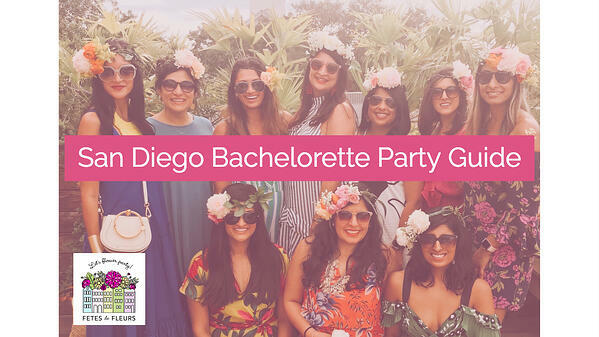 So we can't wait to help you have a fun, relaxing and creative bachelorette activity for your San Diego bachelorette weekend. We have flower party hosts in cities throughout the United States where bachelorette parties and ladies weekends tend to happen. We of course work with locals too for celebrations like birthdays, bridal and baby showers, parties, and all celebrations for floral needs but we tend to do lots of flower parties for bachelorette parties. What's a bachelorette party weekend without spending it drinking some cocktails? Correct, it's NOT a bachelorette party if you aren't drinking plenty of cocktails. Especially if you are heading to San Diego you MUST spend your time at least imbibing a bit or a bit TOO MUCH in the beautiful weather. 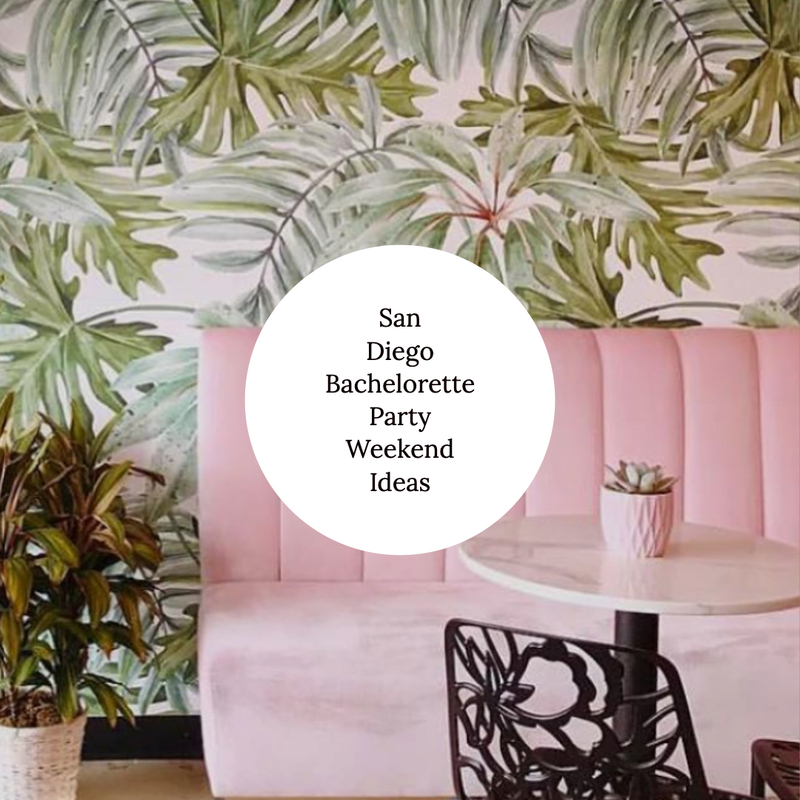 :) So we have rounded up some of our favorite San Diego restaurants, bars, and other things to do while on your San Diego bachelorette party weekend. We will continue to add to this guide as we learn more about your favorite spots as the bachelorette season continues this year ahead.